The OFSC has been monitoring the Canada Post situation closely, and of particular concern is the increasing backlog of undelivered mail. 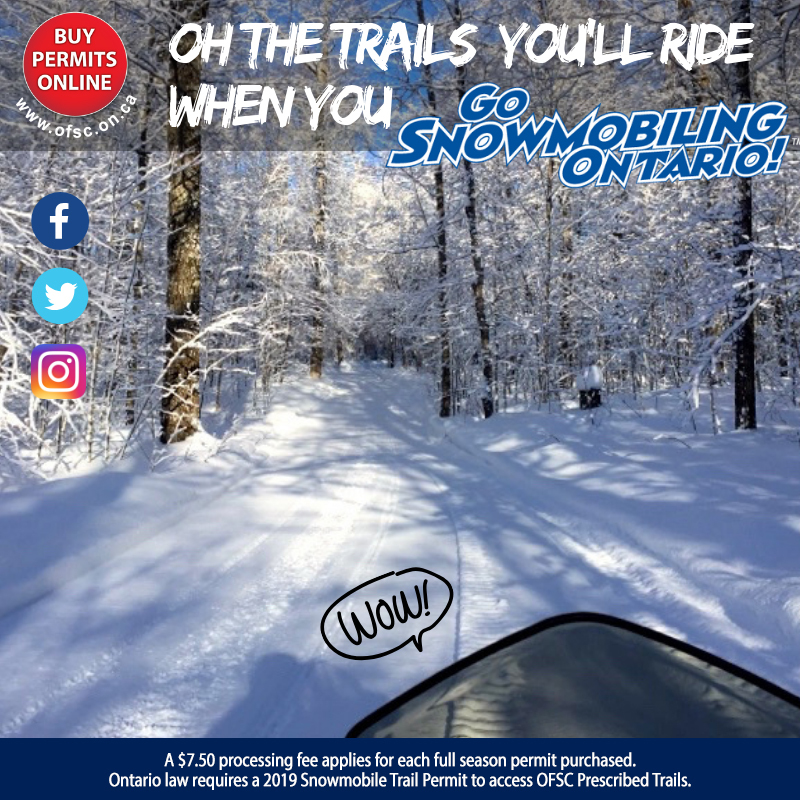 We are committed to ensure that no permit buyer misses a day of sledding as a result of mail delivery issues, and have now issued emails to all permit buyers with instructions on how to access their temporary permit online (through their permit account); the temporary permit is valid from December 1st, 2018 through to December 14th, 2018 inclusive. The OFSC will continue to monitor the situation and encourage all permit buyers to check their inbox for the latest updates. If the mail backlog has not been cleared by December 14th and your permit has not yet arrived, we will ensure you have access to a new valid temporary permit to make the most of your snowmobiling season. If you have any questions, please contact the OFSC at permits@ofsc.on.ca.